Hello from Scottsdale AZ! In case you haven’t noticed on Instagram, I’m on a destination bachelorette trip for one of my college bestie in the desert. Be sure to follow along with all the fun as we explore the city and it’s beautiful scenic views. It’s been a little while since I’ve shared a Friday Favorites of all things food and fitness I’ve been loving lately so lets get right to it! Tom and I have been spoiled in trying a variety of healthier desserts the past few weeks and I can’t wait to share all these with you. I’ve been seeing Ocho Candy on Instagram for a little while and was so excited when they offered to send me a gift package of their candy. Ocho makes organic chocolate bars and mini bars in a variety of flavors. I haven’t had a chance to try each flavor yet, but so far the dark chocolate caramel is my fav. Ocho candy started up because they wanted to create a better for you, tasty, organic candy bar, and these sure are delicious. They use quality ingredients and I would actually prefer Ocho Candy Bars or Bites over other candy bars. 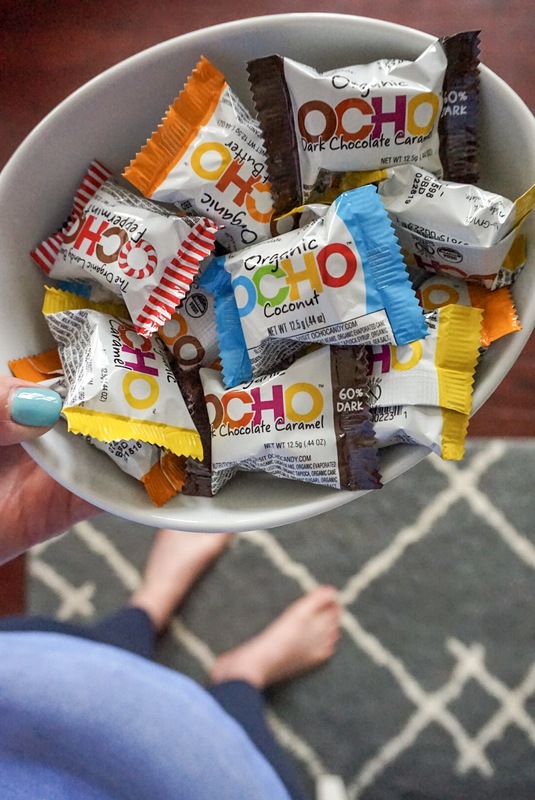 Find Ocho Candy near you or you can always order your favorite bars online. The last few Friday nights we’ve been enjoying dinner at home followed by taste testing the new light ice cream Arctic Zero flavors as we settle down from the week to watch our shows on the DVR. So far the Chocolate Chunk has been my favorite flavor and I am loving the new pint design and recipe Arctic Zero has created. They definitely taste just like their light ice cream competitors. Arctic Zero has few calories than regular ice cream, a decent ingredients list, and I love that after just a few bites and my sweet tooth is satisfied. The last sweet of the week are Quest Nutrition’s new Protein Cookies. I find the taste almost similar to their bars, just a different texture. The ingredients list is still so-so, as with their protein bars. But if you need to quickly grab a little something sweet or a snack, these are better than most pre-packaged choices. The regular chocolate chip has been my favorite so far. I also love that the cookies are only about 250 calories each, as opposed to some of their competitors cookies that I need to split into four servings. I’ve also noticed they recently started selling boxes of these Quest Protein Cookies in Target. Moving from sweet to savory. You all know my love for Banza’s Chickpea Pasta and they recently started a new campaign, Banza + Plants. While I am by no means a vegan or vegetarian, I do try to have a few meatless meals each week and get my protein from plants. This is so easy to do with Banza Pasta as one serving packs 13 grams of protein. Other reasons I love Banza is for it’s simple ingredients and that it’s gluten-free. I posted this photo on Instagram of a Spring Pasta Salad Recipe with a simple Basil Vinaigrette. I enjoyed this pasta salad for lunch and dinner a few times this past week. Now that the weather has finally gotten nicer we’ve been enjoying going out on Saturdays to the local La Plata farmers market for produce and Hancock Family Farms for meat. 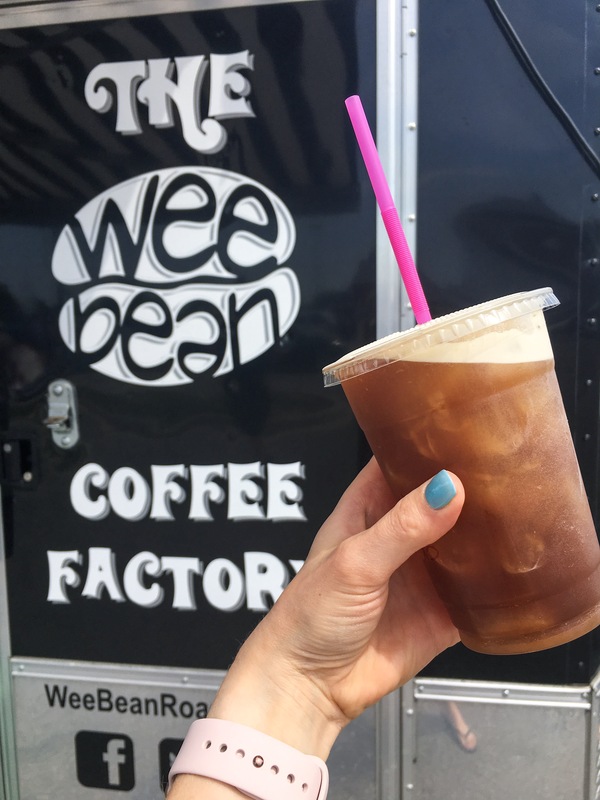 This past weekends trip I sipped on a Nitro Brew from Wee Bean Coffee as we did our grocery shopping. In case you missed it, each week I’ve been sharing my weekly dinner menu and workouts. Check out previous posts here for some inspiration. 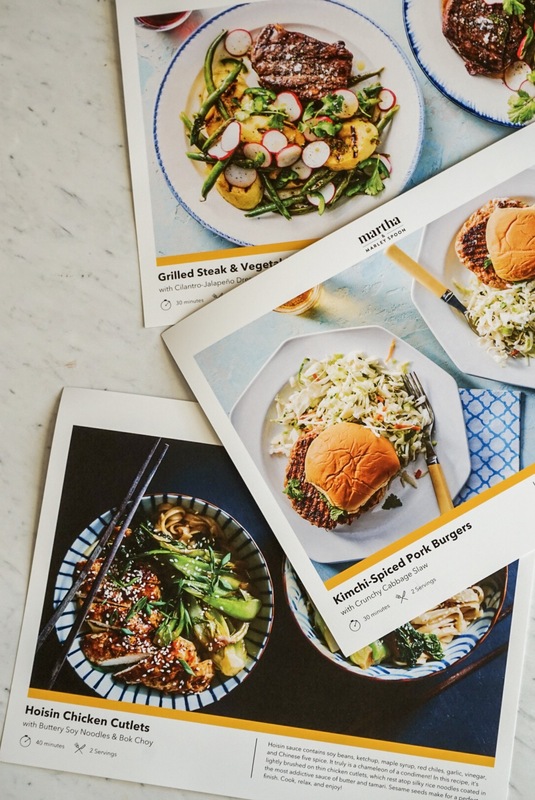 Last week we enjoyed two meals from Martha & Marley Spoons Meal Delivery Service. Tom and I both enjoyed the Grilled Steak and Vegetables and Kimchi Pork Burgers. I love meal delivery services for the convenience and that I get a chance to try something new. That’s all I have for this week! Be sure to check out previous Friday Favorites Posts Here and have a great weekend! What flavor of Arctic Zero, Ocho Candy, or Quest Protein Cookies would you try? I really want to try the quest cookies! The brownie and cookie dough Arctic zero sounds amazing. I just had Banza for the first time last night– so delicious and dense! Now you have me thinking I should add a quest cookie to arctic zero ice cream, lol. I am having trouble deciding which Arctic Zero ice cream sounds the best ha ha! It has been so warm in AZ that ice cream and popsicles (usually homemade) are my go to for a small sweet treat! Omg I just got back from AZ and yes totally all the cold foods weather! I’ve been hearing about the new Arctic Zero pints! Will have to try them sometime soon. And your Banza creation looks awesome. I saw that you’re in AZ! I’ve never been to Scottsdale before but have been wanting to do a road trip to AZ. Definitely worth a trip to AZ, so much to do! 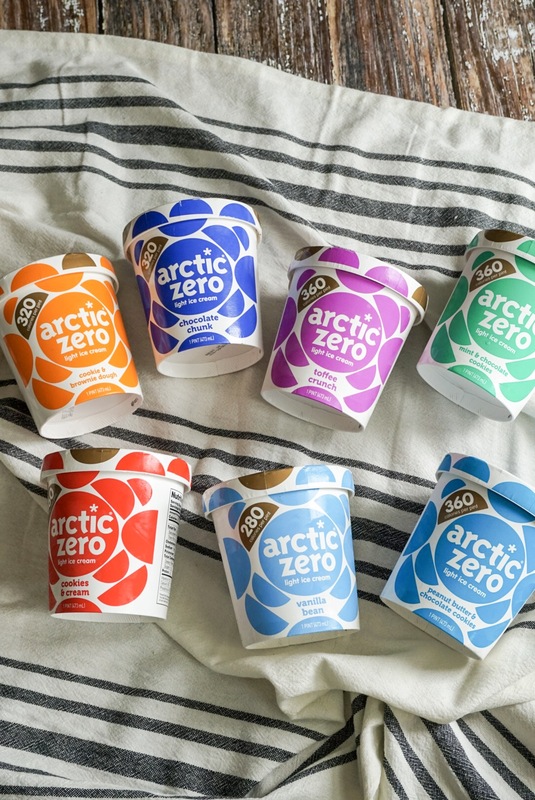 And omg the new Arctic Zero pints are SO good, they definitely nailed it on the new recipe. Patty! 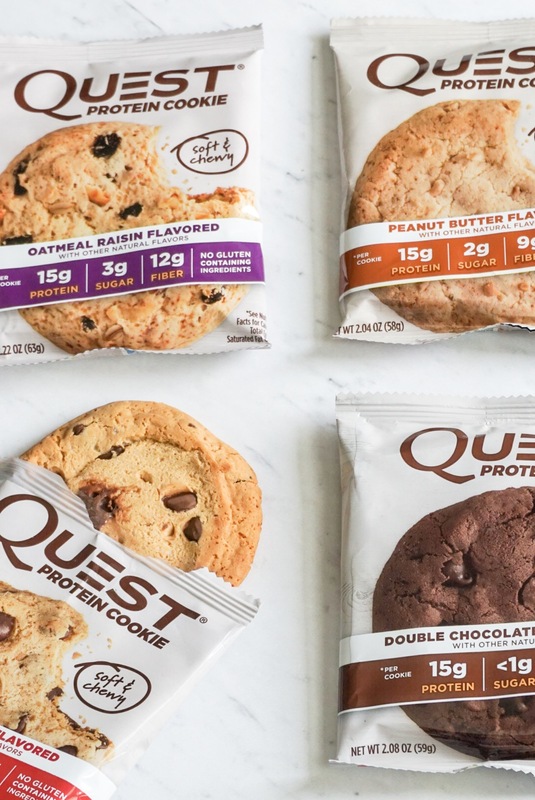 Okay, I love healthy desserts — well I love all desserts — and I’ve yet to try the Quest cookies, so I need to do that. I’ve also never been to Arizona and would love to explore there. Happy Friday! Enjoy your hopefully long weekend. Arizona is definitely somewhere I would go back to explore more, but not in the summer when the temperatures are so high. And yes to all the healthy desserts! I am OBSESSED with the new Arctic Zero formula! It really is the best “healthy” ice cream out there right now… at least that I’ve tried. I’ve tried about a million delivery services. My favorite so far has been a local one, but I also liked Terra’s Kitchen a lot. Both we heavier on the cooking, which I didn’t mind. I too was super impressed with the new arctic zero flavors, they definitely nailed it. And I’ve heard great things about Terra’s Kitchen but haven’t tried it, I do enjoy cooking something new, but definitely not when I’m in a hurry.